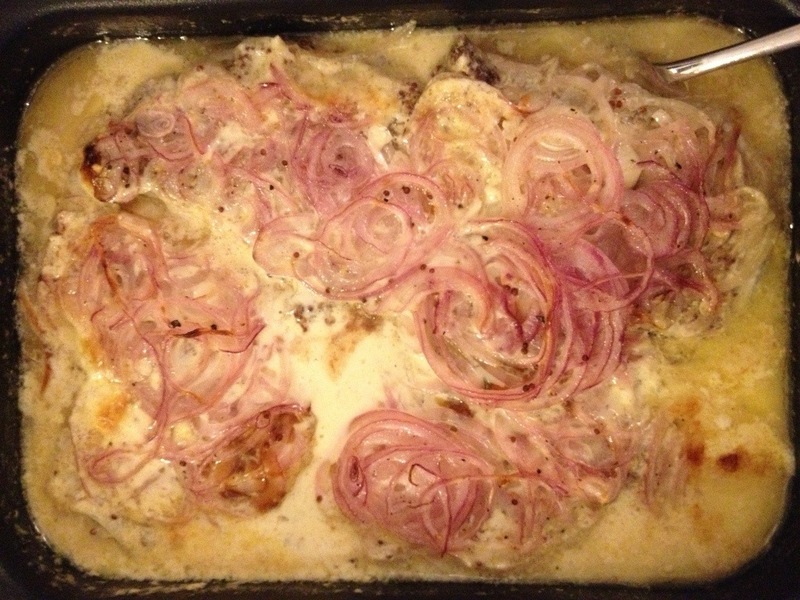 Today’s recipe is dead easy but very effective: pork chops covered in onions baked in the oven. 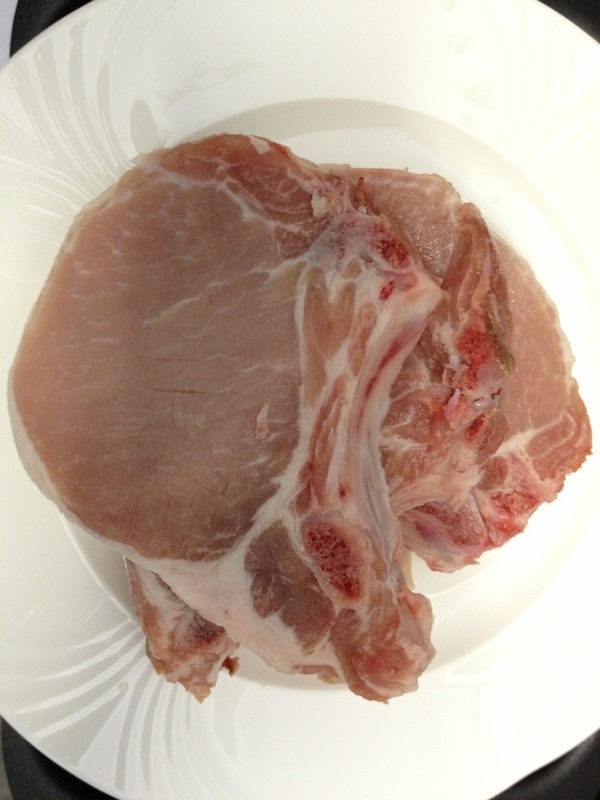 For 3 people I used 4 pork chops. 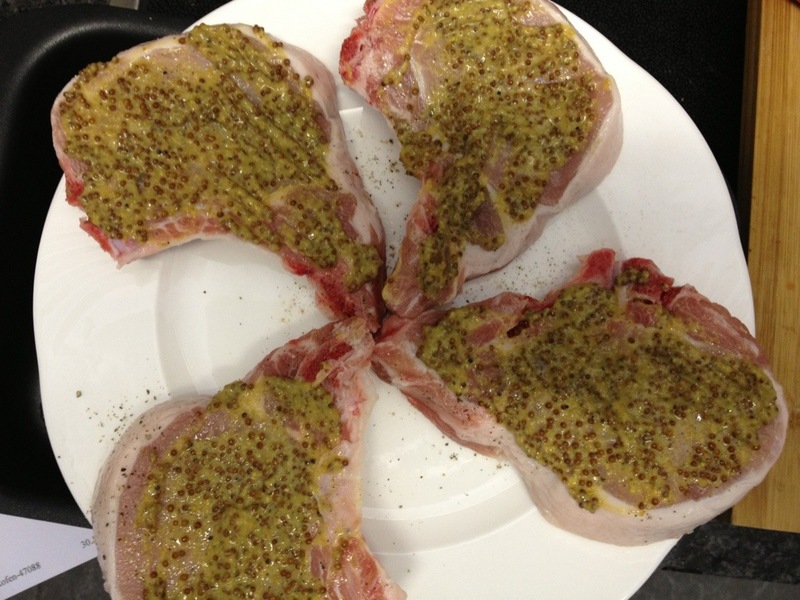 Season them with pepper and cover them with Dijon mustard. 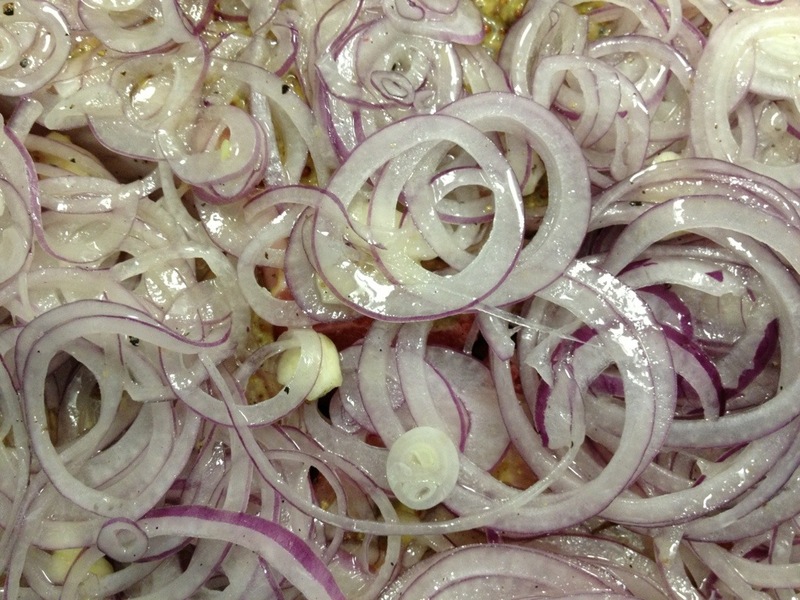 Arrange them in an oven proof dish and cover with 2 sliced onions and 2 sliced cloves of garlic seasoned with olive oil, salt and pepper. Now bake it in the oven for 20 minutes at 225C. 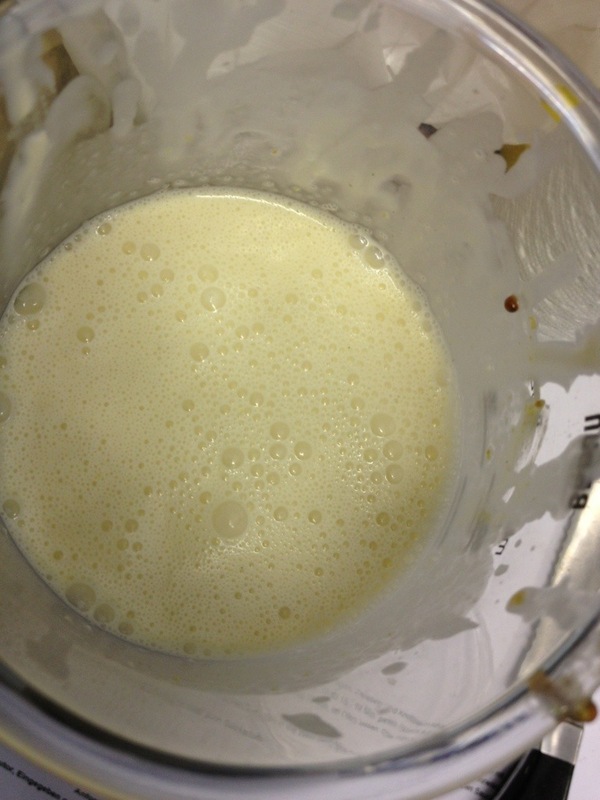 Then add a sauce made from 2dl cream and 1dl veggie broth and bake for a further 10 minutes. 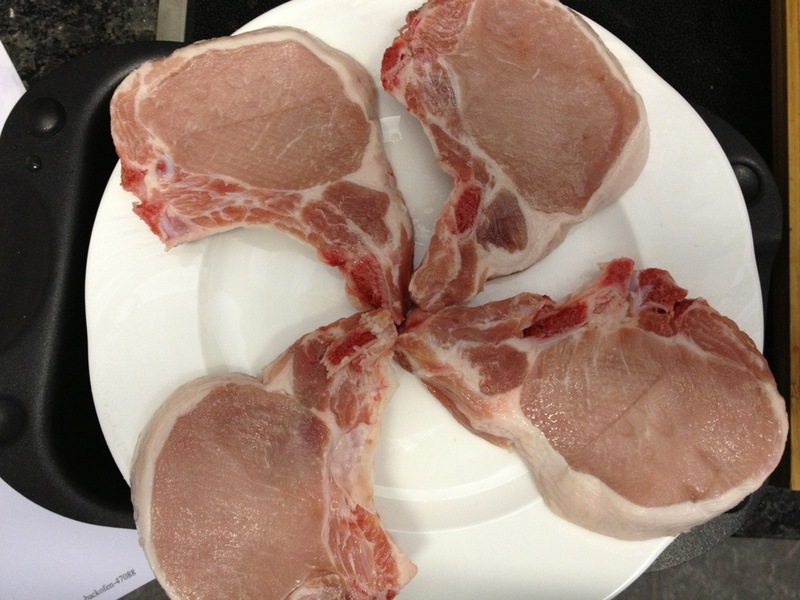 Et voilà: your pork chops are ready to serve. 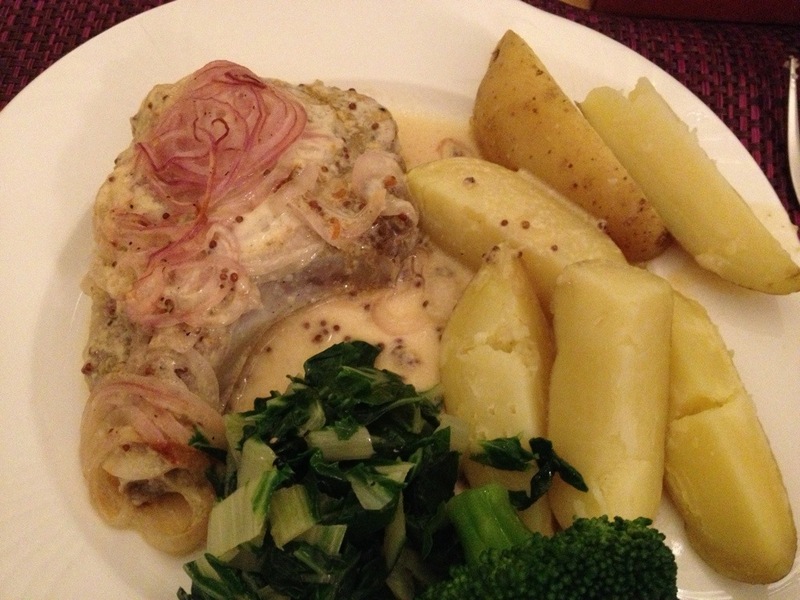 I served them with boiled potatoes and Swiss chard. Delicious!